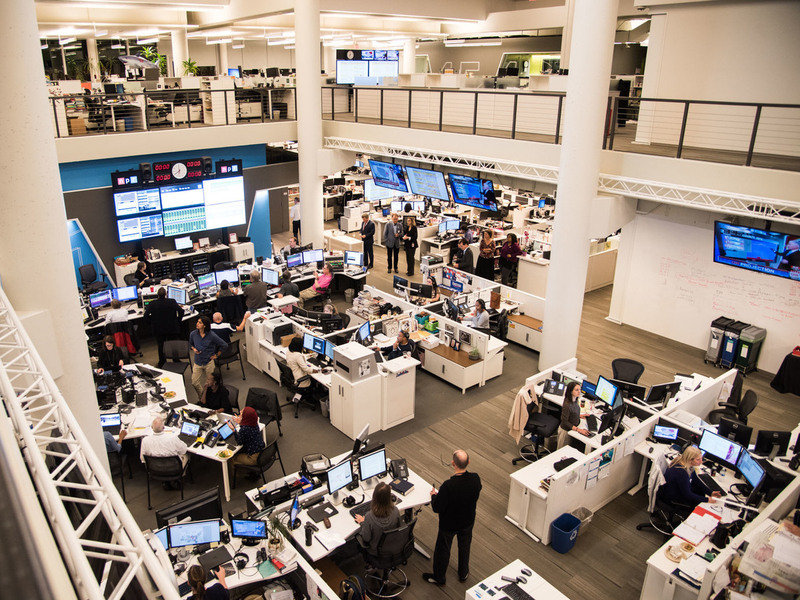 NPR Reaches 99 Million People Monthly, GenXers And Millennials Drive Growth NPR's journalism and original programming reaches at least 99 million people every month across all platforms – broadcast and digital. October 25, 2017; Washington D.C. - NPR's journalism and original programming reaches at least 99 million people every month across all platforms – broadcast and digital. This cross-platform estimate is based on Spring 2017's monthly broadcast cume, NPR.org visitors and podcast users. "This stellar accomplishment is a measure of just how much America depends on NPR every day, from breaking news to investigative reporting to podcasting to music and cultural programs that celebrate the human experience," said NPR President and CEO Jarl Mohn. NPR Member stations have grown their audience for five consecutive ratings periods in a row. According to Nielsen Audio Spring 2017 ratings, the total weekly listeners for all programming on NPR stations reached an all-time high of 37.7 million. There was no post-election drop: both Morning Edition and All Things Considered retained the remarkable growth seen during the Fall 2016 election cycle. Their weekly audience is at 14.63 million and 14.6 million listeners, respectively – continuing to be two of the largest news/talk radio programs in the country, and larger than many well-known television news programs. AQH growth continues to be strongest among those 25-44. Millennials and GenXers are listening: across the country, over a quarter (28%) of all 25-54 year olds listened to an NPR Member station at least once a month, 16% listened at least once a week and 6% of all 25-54 listened at least once a day. Increase in diverse audiences: Morning Edition saw a 10% gain, year over year, in weekly Hispanic listeners and 16% gain in Black/African American listeners while All Things Considered saw a 9% gain in Hispanic listeners and an 18% gain in Black/African American listeners. As of August 2017, NPR Member stations are the leading radio news stations in 26 of the top 50 markets in mornings and 27 of 50 for afternoons (25-54 AQH). And public radio stations are the number one stations, all persons, for the full week in San Diego; Seattle; Portland; Washington, DC; San Francisco; and Boston (WBUR and WGBH combined.) There are other markets where it happens regularly like Austin, Texas and Raleigh-Durham, North Carolina. Source for all the broadcast data is 2017 The Nielsen Company. May not be quoted or reproduced without the prior written permission of Nielsen. This growth has been fueled by new extremely popular offerings like Up First, How I Built This and the always strong Hidden Brain, Planet Money, NPR Politics, and Fresh Air. With 41 active programs, NPR remains the leading publisher of podcasts per the Podtrac industry ranker, holding the #1 spot since they began counting in May 2016. The NPR.org audience remains high at an average of 37 million users per month. NPR content is available on more platforms than ever before— including the growing Smart Speaker segment. NPR One app is available on Amazon's suite of smart home assistants including the Echo, Dot and other Alexa-enabled devices; as well as Google Home and Apple's Siri-enabled devices. Listeners can ask for a live stream of their local station, get a quick national news briefing— updated every hour—or play the latest episode of a podcast.